Nova Levante (ger. Welschnofen, 1.182m) and Carezza (ger. Karersee, 1.600m) are two touristic mountain-villages of the Val d'Ega (Ega valley), in the heart of the Dolomites. The ski area “Carezza Ski” offers its guests about 40 km of pistes and 16 lifts, is known as a very sunny region and offers breathtaking views of the mountains Catinaccio (ger. Rosengarten) and Latemar. Among the many slopes there is also a snow park that will satisfy even the most demanding snow fans. It is, in a few words, a real paradise for ski, snowboard and toboggan lovers. In the lake of Carezza you will find in winter divers conducting underwater shots under ice and registering documentary records. In summer this region pays much attention to the traditions that can be found in form of ancient professions, crafts and art in the mountain pastures and huts between the Nigerpaß and Carezza. The tourists fond of excursions can explore the mountains between Rosengarten and Latemar while enjoying the beautiful panorama. Cycling enthusiasts will find wonderful mountain bike trails. Even in summer it is worth visiting the lake of Carezza, which gives the impression of a magical place and is therefore called "the magical lake of the Dolomites". Those who do not want to miss cultural tours can visit the church of Nova Levante which is first mentioned in historical documents dating back to 1298. The patron of the church is St. Ingenuino. The present church is a modern building, built in 1967 and has a low pitched roof and a side aisle. The original church was restored in the first half of the 18th Century and in the years 1827 to 1828 a new church was realized, which was then dismantled in 1965 and replaced by the new structure. The church has a 37 meter high tower and is the oldest architectural structure of the place. The farm is located in a quiet panoramic location, surrounded by meadows, just few minutes from the village center. Starting point for easy and challenging hikes, climbing and cycling. The Hotel Castel Latemar is situated in Carezza, in the middle of the Dolomites. In winter you can put on your skis in front of the house, as it is located right on the slopes, and in summer guests can explore the most beautiful hiking trails of the area. The familiar atmosphere of the house is ideal for you to recharge your energies, forget about your daily worries and simply feel good: a regenerating holiday is guaranteed! Spend your holidays in a welcoming and warm atmosphere. Here you will enjoy an unforgettable stay in! 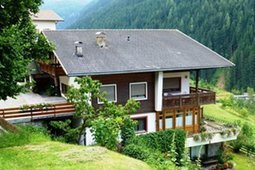 The house is nicely situated on a southern sunny slope high above the centre of Welschnofen, a truly quiet place offering a fascinating view. Welcome to the House Christophorus in Welschnofen! The spacious and well-furnished apartments and rooms with large balconies and the sunny meadow, far away from stress and traffic noise, will guarantee you a pleasant and cozy stay. 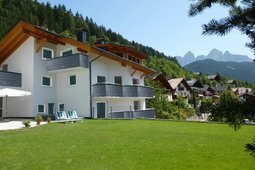 The Apartments Sole Sonne in Nova Levante-Carezza offer three exclusive, apartments for your unforgettable holiday in the UNESCO World Natural Heritage of the Dolomites, on the emerald green Carezza Lake, direct under the famous mounts Catinaccio-Rosengarten and Latemar. The family-run B&B Plank is situated in a beautiful and sunny position from where you can enjoy panoramic views over Rosengarten and Latemar. In summer and in winter you can choose between an apartment and a comfortable room. 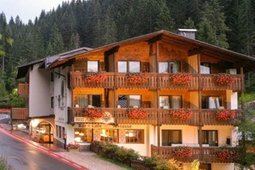 Hotel Seehauser, one of the best European Hiking Hotels welcomes you to the Val d'Ega, the gateway to the Dolomites, declared World Heritage by UNESCO! For more than 12 years, the European Hiking Hotels are a guarantee for a natural, exciting and enjoyable walking holidays. 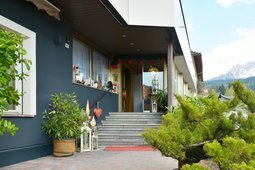 The apartments Petereit are located in a quiet and sunny location between the Catinaccio and Latemar. 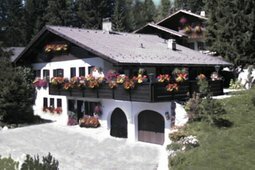 In the holiday region Carezza Nova Levante, at an altitude of 1650m, the family house Petereit is waiting for you. 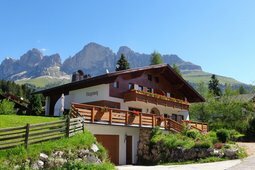 Surrounded by the Rosengarten and Latemar is the small oasis of relaxation - Girgenoy home - great starting point for mountain hiking or rock climbing, or playing golf. The family Stofner awaits you in the summer for hiking, climbing, mountaineering and winter. The Dolomites Hotel Adler Carezza is located less than a km from Lake Carezza, a landmark within the Dolomites, declared a Unesco natural heritage in 2009. Its position at 1400m a.s.l. is also at the crossroad of seven hiking trails.